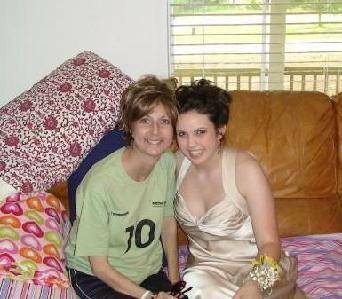 Today marks 10 years since my stepmom lost her battle to cancer. I still visit her grave every time I’m in town, and I am overcome with emotion each and every time. You’d think that after ten years it would be easier. It would make more sense or it wouldn’t hurt as much. But not a chance, ten years later and the loss is as poignant as it was originally. I find myself reflecting on her season as my stepmom often. What did my stepmom do that made me feel so unconditionally loved growing up? What exactly did she do that made her such a positive role model in my life? How can I imitate and emulate her in my role as stepmom? I won’t say I have all of the answers, but I will share with you what I still remember to this day. 1. She taught me what a happy life looks like. She sang, all the time. In fact, I can’t hear “My Girl” without thinking about her. She lived a genuinely happy life; it took a lot of effort to be in a bad mood around her. 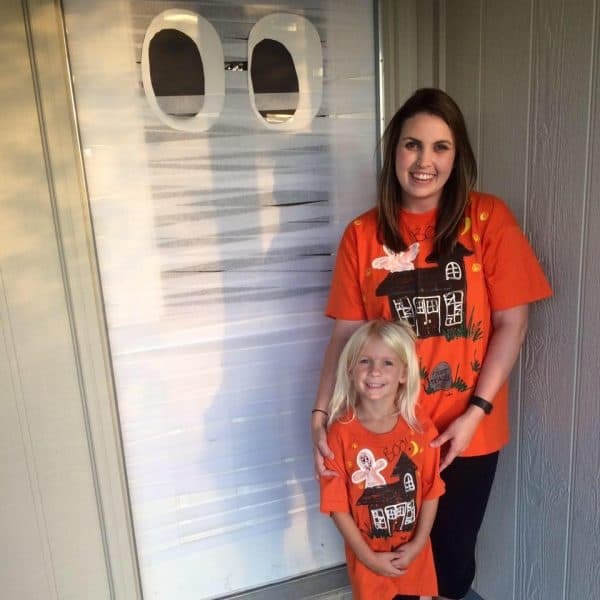 Despite the financial struggles, the custody battles, and the cancer – no matter WHAT life threw at her, she was always positive and happy. Isn’t that something you’d love your stepchildren to say about you when they reflect on their childhood? 2. She showed me the status quo is for losers and pushed me to excel, always. This is going to seem like the silliest example, but one of the things I remember often is that my stepmom is the one who taught me it’s easier to scoop and spread jelly with a spoon instead of a knife. When I’ve baked biscuits for breakfast, it never fails: I get a spoon out of the drawer and smile fondly at the memory of my stepmom. You don’t always have to do things a certain way just because that’s how they’ve always been done – push for best, not standard. The lessons we teach our stepchildren, no matter how large or small, will stick with them into adulthood. 3. She showed me that mom and stepmom can be friends. My mom and dad still can’t stand to be in the same room as each other, but my mom and Michelle got along splendidly. If there was any co-parenting happening throughout my childhood, it was because of those two ladies. They put differences aside and put my well-being first. 4. She demonstrated self-confidence for me. My stepmom Michelle taught me a different side of security. When I mentioned someone had flirted with my boyfriend in front of me, she said, “That’s a compliment! He’s yours. She wants him but can’t have him.” I think that equipped me for the whole being-best-friends-with-my-husband’s-ex-wife thing later in life, but it also showed me that stepmoms have the ability to truly influence their stepchildren’s personalities. Even though she only saw me during the summer and some school holidays, she told me things like that which have stuck with me, to this day. 5. Talking poorly about the Mom reflects your character, not hers. She once said something about my mom I’ll never forget. It was snide and hearsay from my bitter dad, and it made me think less of her for telling me the bit of gossip. It didn’t even hit my realm of consciousness or slightly affect my opinion of my mom – whether it was true or not! It only affected my opinion of my stepmom. 6. My stepmom introduced me to parenting ninja skills. One summer, after I lied about something I was ashamed about, she told me, “I’m going to ask the question again. And when I do, you should assume I already know the answer.” I crumbled, obviously. That one stuck with me, and I’ve used it on my own stepdaughter K when I thought she was lying to me. It worked, obviously. Parenting ninja skills. 7. A stepmom can be a confidante and a friend. My stepmom helped me through arguments with friends, breakups, and those confusing, complex teenage years. She was a neutral third party: parent enough that you definitely listened to her and trusted her advice but friend enough that you confided a little more than you would with your biological parents. Looking back, I see how much she transformed my character and personality. She pushed me out of my comfort zone and made me a better person. 8. A stepmom can love her stepchildren as much as her biological children. Michelle loved me like her own. I never felt subpar or like I required a “step” or “half” qualifier. I wasn’t a stepdaughter or half sister; I was part of the family. 9. My stepmom taught me true strength. When I say Michelle was strong, it doesn’t quite do her justice. She beat all of the odds, including 2 separate 6-month cancer prognoses. 2.5 years after the initial 6 month prognosis, the cancer did finally take her, but the strength she exhibited was other-worldly. I realize this is a characterization of the woman I had as a stepmom, but here’s my greater lesson: stepmoms can set incredible examples. We are role models, whether we realize it or not – AND whether our stepkids will ever admit it or not. Be the person you want them to look up to. 10. She taught me to have fun and not take life too seriously. On the days when you’re wondering if you make a difference, I assure you that you do. Throughout the battles when you wonder if life would be better for them without you in it, I speak from experience when I tell you it would not. When you find yourself beat down and ready to give up, remember that you’re making a world of difference in your stepchildren’s lives. Michelle was my stepmom for 10 years, and today marks 10 years without her. She has made an everlasting impact on the woman I am today – on the stepmother I am today. You are making a difference, and you are doing an incredible job! PS: Read more about the unique role the stepmom plays here. Love and miss you & Michelle! You are special as was she!